Kitchen And Dining Products are those things that we use in our everyday life. They can make our mood better, they are useful and make our life easier. 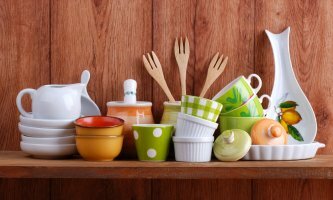 Export Portal offers a great chance to sell kitchen tools online, to connect to customers from all over the world and get the best deals. If you are intended to sell cooking sets, bakeware, barware online, consider Export Portal as the best option. Industry and designers invent so many things for kitchen to make cooking easy and nice, that you just want to buy them all! Shop for kitchen appliances online on Export Portal and find a huge choice of brands and manufacturers. Buy cooking tools, cookware, tableware and drinkware online on our site, get the best for your kitchen! Export Portal is an opportunity for anyone involved in trading with kitchen tools, a place for advertising your products and finding customers from the most remote parts of the world. Sell baking and pastry tools, canning and preserving appliances, cookware sets online and find the place to do good business. As the heart of the home, the kitchen is always a happening place. It can be used to entertain family, cook that holiday meal or just scrounge for the latest snack. Depending on your preferences, you can have a chef's kitchen - with an oversized island, plenty of countertop space and a good set of knives - or your own host's kitchen - stocked with a bar, counter stools and of course, plenty of cake stands. Luckily, with a little bit of organization and some quality purchases, any space can become the perfect compromise, with room to spare for both cooking and entertaining. Here are some helpful ways to get the most out of your space. Buy and sell kitchen knives, flatware, table decoration accessories, Dutch ovens and roasters, kitchen gadgets, food storage appliances, kitchen utensils online on Export Portal. We are the best choice for sellers and buyers of household goods!